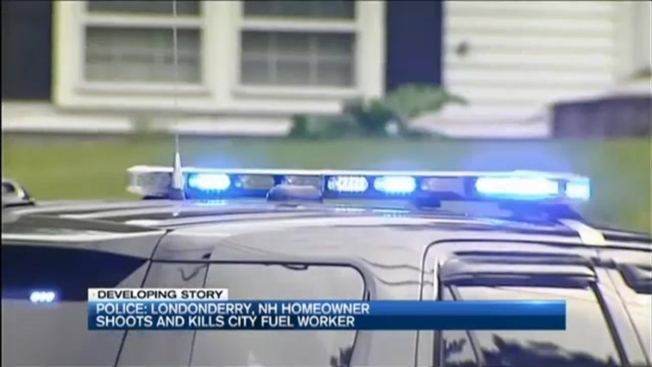 A City Fuel employee is dead, and the suspect is injured after an incident in Londonderry, New Hampshire. Police responded to an incident at a home on Currier Drive on Tuesday. An employee from Citi Fuel was called to the home to do some work when he was shot and killed by the homeowner. Police say the homeowner then shot himself in an attempt to commit suicide. That homeowner has since been taken to the hospital and is in critical condition. Londonderry Police Chief William Hart confirmed to necn that the New Hampshire State Police Major Crimes Unit responded. The attorney general was also at the scene. A neighbor said on Twitter that there were numerous SWAT and other police vehicles up and down his street. His photos showed at least one armored vehicle and a police officer holding a long rifle. Police reportedly shut down a portion of Pillsbury Road between Currier Drive and Moose Hill School. The road closures affected dismissal at three area schools but the schools were not put on lockdown.